Only just recently has my class and I returned to using the app *Skitch. 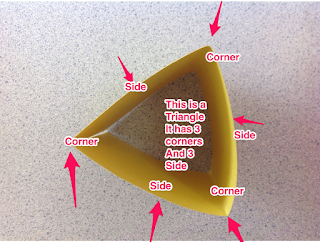 If you're not familiar with Skitch it allows you to annotate images with arrows, text, and drawing. It also allows you to easily blur out content (or faces) with it's easy to use pixilating feature. As I watched my students dive back into using skitch through our 2d shapes and 3d solids exploration a ton of ideas entered my head of others ways we could use this simple, and free app. 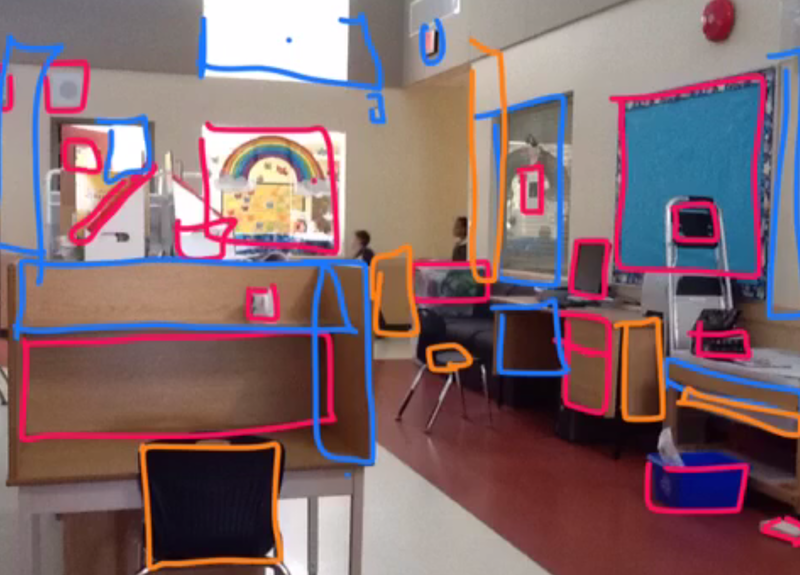 At the most basic level Skitch can be used to add labels to images. In the first example my student is using the text and arrow feature. In this example my student is using the pencil feature to better explain his math. 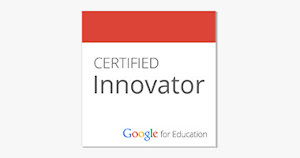 For most of my students I have permission to use their images online but I work really hard to not to have their image with their name. Sometimes I get great images but when I look a bit closer I see I have managed to show their first name at the same time. In the image below you can see that I have used the Skitch pixilating feature to blur out the name. What's nice is it's so easy that my students can do it too. As we continue to explore properties of 2d shapes and 3D solids my students have been exploring where they can be found in the environment. One way they have been doing this is by taking a picture then using the highlighter tool to highlight the different shapes they can see in the picture. Glenn Young, a Surrey Schools helping teacher, recently shared images where his students took photos of each other as they were doing a plank in PE, and then they annotated those images noticing correct and incorrect form. My head is spinning with ideas, is yours? My students have been working very hard to master the "givens" in our classroom. The givens include things like adding a capital letter at the beginning of a sentence, and using punctuation. It's not an overly large list but it's things as a class we feel we can all do successfully. In addition we have been working hard at rereading our work to make sure we haven't let any of the givens slip. So what does this have to do with Skitch? Imagine if I asked my students to take a picture (or screenshot) of their writing and import it into Skitch. From there they could use the highlighter tool and highlight where they have successfully achieved the givens. To take it a step further they could easily pass off their device and have a friend do the same thing on their writing, but this time in a different colour. What I like about this process is that not only does it encourage peer and self assessment, but it also leaves the original piece of work in it's original state. 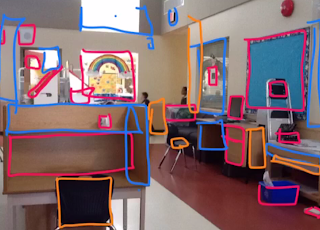 Imagine all the things you could have students look for in their work and use Skitch to document what they have found? Also for self assessment a student could look at their criteria and then circle the evidence in their work that clearly demonstrates they have met the criteria. Of course this isn't just limited to writing samples, it could be used with any type of student work. While I have been using Skitch since I met my first iPad almost 3.5 years ago I can't believe I've let it sit unused for a while when it has so much potential. How are you using Skitch in your practice? How will you think about using it now? * While I work in an iPad classroom, so the Skitch we use is the iOS app, Skitch is available on many platforms as well as being web based. Skitch is part of the Evernote family. Love this! 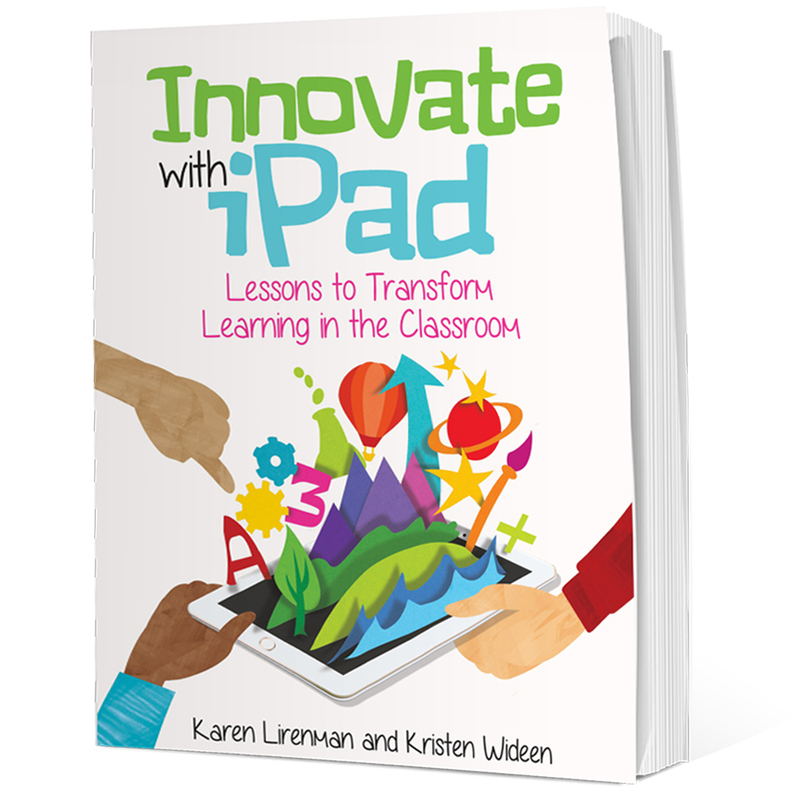 Another great idea for the Skitch app! Thanks for sharing. Thanks Lora. I think I've only covered a small list of the potential this app has in the realms of assessment. Great ideas; very creative. I have Skitch, but never thought of using it in this way. Thanks! Thanks Tina. It's funny how when we look, we can see something so simple be used is so many different ways. The key I guess, is to try to look with fresh eyes.